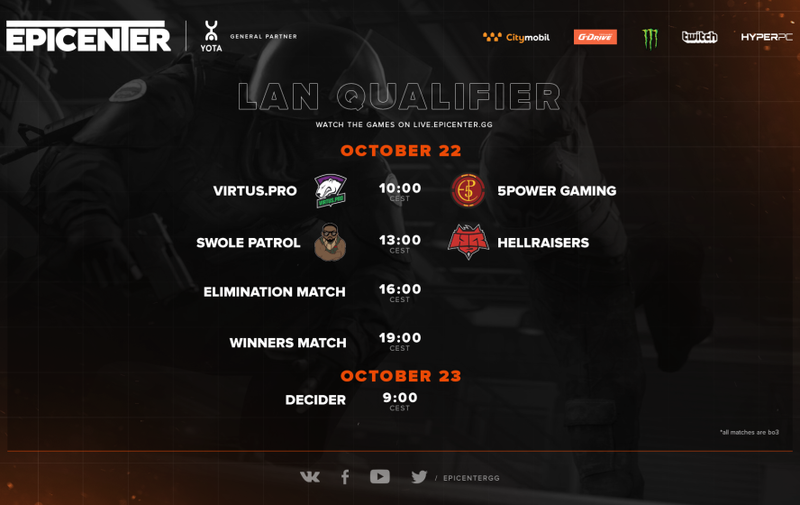 Due to a Swole Patrol player missing his flight to Moscow, we are forced to restructure the schedule of the LAN qualifier. The first game of the American team moves to 13:00, and the last match of the qualifier is now set for October 23, 9:00 CEST. We apologize and hope that this incident will not prevent the American squad from giving a solid performance! Tune in to our streams!